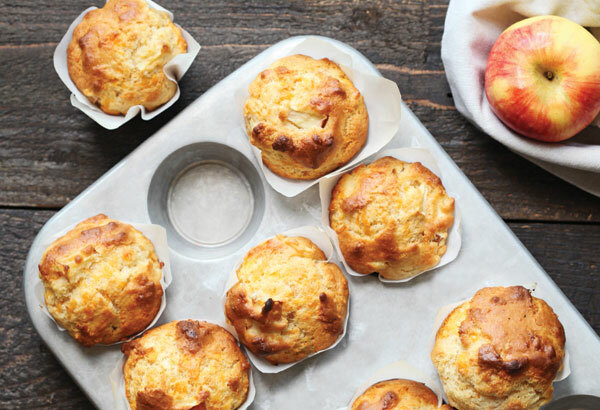 Apples and cheese make a classic pie combo – they also pair well in a not-too-sweet muffin that’s perfect for grabbing on your way out the door. In a large bowl, stir together the flour, brown sugar, baking powder and salt. Add the grated cheese and toss to combine. In a small bowl, stir together the milk, oil and egg. Add to the dry ingredients along with the apple and stir just until blended. Divide the batter among paper-lined muffin cups and bake for 20-25 minutes, until golden and springy to the touch. Makes 8-10 muffins. Originally published in ParentsCanada magazine, Aug/Sep 2016.